I have been slowly working my way through the house, clearing out all the old crap and clutter, one this to go were the scrappy old coasters but that meant I needed some new ones. 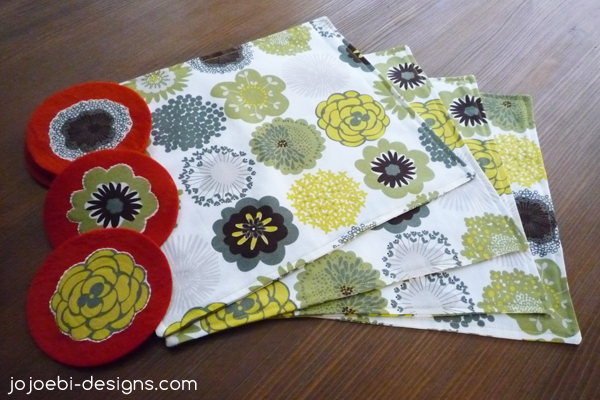 It was a great excuse to get back on the sewing wagon, I went a bit wild and made placemats too! so cute! what kind of fabric did you use for the coasters? the coasters are felt but it is really thick and slightly velvety to touch, I hand sewed the flowers on.